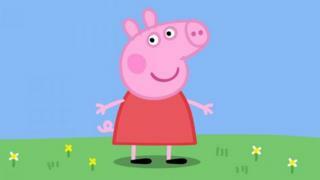 Entertainment One, the owner of children’s TV brand Peppa Pig, has rejected a takeover bid from ITV. ITV offered 236p a share for the company, valuing it at more than 1bn. But the Canada-based film distribution and TV production company said the bid “fundamentally undervalues the company and its prospects”. Entertainment One owns more than 40,000 film and television titles, including last year’s Oscar-winning Spotlight and AMC drama Fear the Walking Dead. In all, it has 4,500 hours of TV programming and 45,000 music tracks. Its library is valued at more than $1bn. Shares in Entertainment One jumped almost 10% on Tuesday and rose a further 7% on Wednesday to 234.40p. In a statement, ITV said it had “a clear strategy that, over recent years, has created significant value for shareholders”. “A key part of that strategy is continuing to build a scaled international content and global distribution business, with a focus on US-scripted content. Neil Wilson, markets analyst at ETX Capital, said: “ITV will be disappointed that its bid for Entertainment One has been rejected, but it can hardly be surprised. “ITV may well fatten up its bid – Entertainment One was valued at close to 368p in July 2015, before its main backer Marwyn Value Investors sold off a big chunk of its holding. ITV chief executive Adam Crozier has said the company is striving to build “a global production business of scale” in an attempt to reduce its reliance on advertising revenue. The broadcaster has made a series of acquisitions to bolster the ITV Studios division, which last month reported a 31% rise in revenues to 651m. ITV Studios makes programmes including Coronation Street, Come Dine With Me, Hell’s Kitchen, I’m A Celebrity Get Me Out of Here and the Jeremy Kyle Show. Last year, ITV bought Talpa, the production company that makes The Voice. The UK version of the talent show will move from BBC1 to the commercial broadcaster in 2017. Mr Wilson added: “Terrestrial TV is coming under huge pressure from on-demand services like Amazon Prime and Netflix, which also own a lot of their own content. “ITV has been snapping up production companies as it clearly understands content is vital for its future, but it too could be the subject of a takeover.